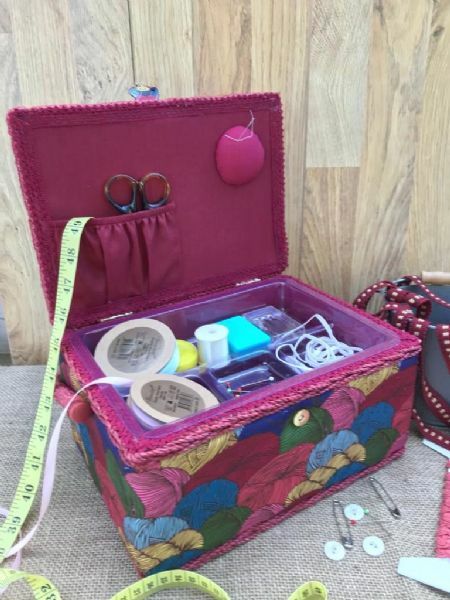 These sewing boxes are suitable for all your sewing accessories. Inside on the lid they have an elasticated pocket and a needle bubble to hold all your loose needles. A deep box with a plastic shelf which has 3 different open compartments. Available in a variety of patterns. Take a look at our video below for a closer look at our sewing boxes.